The good old days may never return. Sure, when you say that, it gives off nostalgic vibes, but things just haven't been the same and that's for the better and for the worse. One thing that has changed for the worse is the way we consume entertainment, especially sports television. Long gone are the shows that brought us joy and felt genuine, they've been replaced by scripted reality programs, agenda fueled narratives, and long running programs that haven't seen a break in duration, but today, we take a look back at some of those retro programs that either had a break in the duration or changed completely, or disappeared into thin air once their run ended. Which shows make our list? Let's take a look. -So, this show technically still comes on, but it isn't the same at all. It hasn't been the same since it left NBC. The version that we all knew and loved growing up was the Ahmad Rashad version. 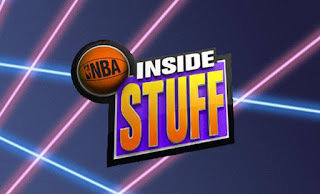 Premiering in 1990 and lasting throughout the duration of the NBA on NBC era (more on that later), Inside Stuff was a look at some of the players off the court, with their charity work, some of their regiments before a game, and just their all around motivation being discussed. 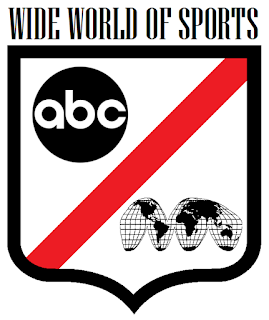 The show was usually broadcasted on Saturday mornings as the bridge between the kids and teenage shows before the other sports programming came on. Inside Stuff was a huge part of my childhood and I'm sure for many of you, it was also vital in this regard. However, the Inside Stuff of today doesn't have the fire and the engagement of the other one, and that's why I look at those as two entirely different shows despite the premise being mostly the same. The Ahmad Rashad era Inside Stuff was legendary. -Of course, this has to be mentioned. Some of us are probably a little too young to remember the initial run of the program, but let that not deter you from appreciating one of the greatest sports programs in the history of television. For one, Jim McKay was a legend. Two, ABC was always seen as the network for good natured sitcoms and somehow, this became the program that took it to the next level in many ways. 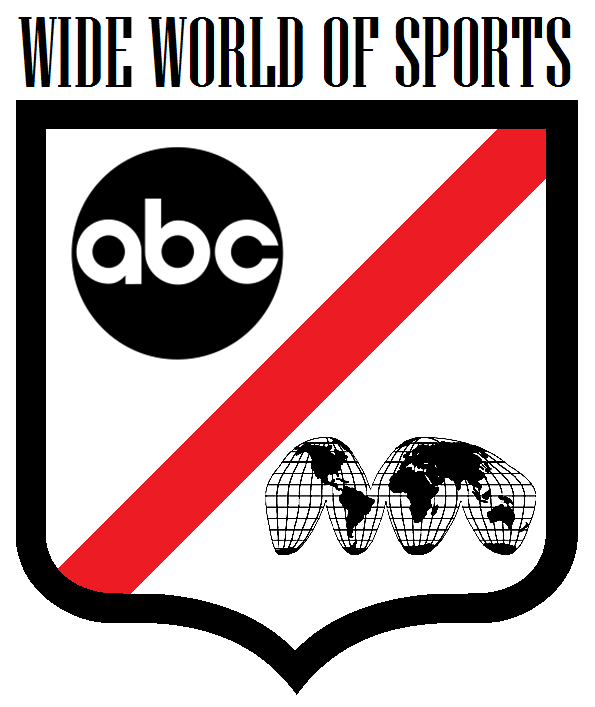 The ABC Wide World Of Sports paved the way for ABC and their NBA contracts I believe, as it showed how viable of a network it can be for sports during this 37 year run. 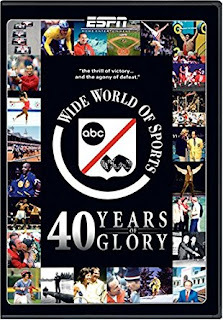 While every sport ABC covered wasn't hugely popular or watched as often, they managed to make you tune in to numerous sports that you normally wouldn't. I know who Pete Weber is because of ABC. Who in the world would want to watch competitive bowling? That is still a mystery to me, but regardless, I was tuned in just like most people were to the network. -Of all the shows on this list, I think WWF Superstars is the funniest of all the options. For me, Saturday mornings were made better by the WWF with their one hour program, which was in syndication from the start. Usually pretaped matches would grace the screen, which seemed to mostly be dark matches or jobber matches that didn't add much to the landscape of wrestling, but I still watched regularly from 1993 through 1996 until it went to the USA Network and became mostly a recap show. It would get resurrected at one point, with a similar format, but for me, the original era was the best. 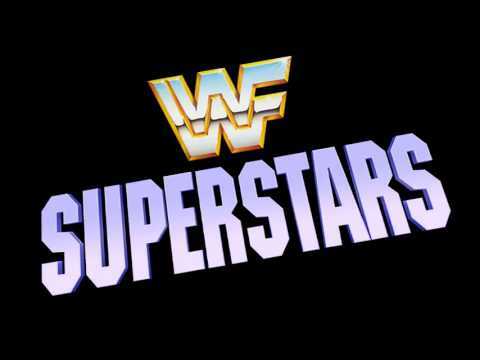 WWF Superstars during the New Generation era was special for me, because at any given time, you could see Shawn Michaels, Diesel, Bret Hart, or maybe even The Undertaker. WWF Superstars wasn't a perfect show, but it had enough engaging content to keep the viewer tuned in every weekend. -So, this is not really sports. It is, but it isn't. 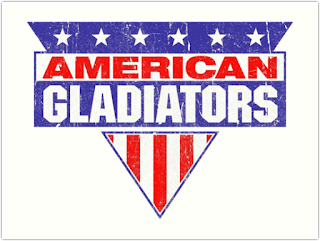 Regardless, we all know about American Gladiators and what they bring to the table. That is a given. It was an athletic and competitive program that would be the basis for many of the shows we see today with the similar style of competition. 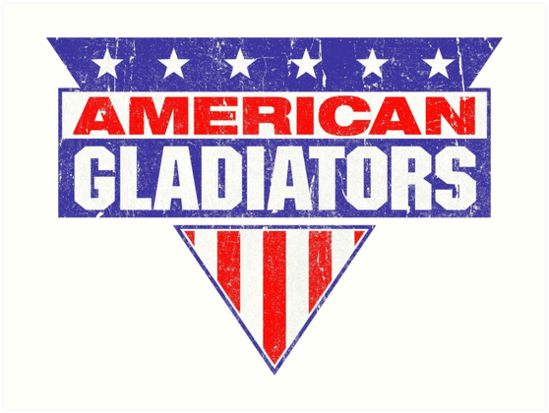 American Gladiators would showcase amateur athletes competing in multiple styles of challenges through a season long tournament to determine the Grand Champion. While there were no memorable contestants on the show, the challenges always provided memorable moments, especially when an athlete seemed in danger of not being able to complete the challenges. Some of the challenges like the Joust, the Assault, the Whiplash, and more provided the challengers with huge obstacles to overcome, but more often than not, the athletes would get through those with relative ease. I've always felt this show was mostly scripted and while that has been hinted at numerous times, it never changed the fact that this was an immensely popular and entertaining show, with a video game and merchandise to go along with the successful program. 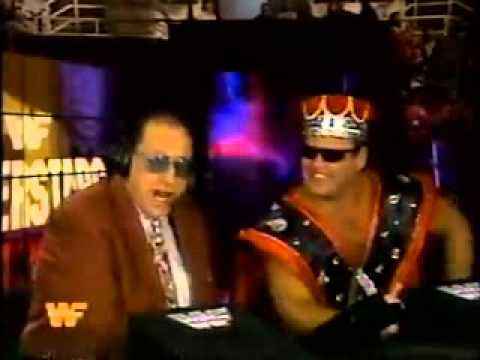 -So, WCW had two weekend programs that would range from interesting to downright boring. WCW Worldwide was like the appetizer, but WCW Saturday Night was more so the main weekend course. It would become a staple for WCW during this era, with big time moments happening on the show. Macho Man Randy Savage would make a huge appearance on the show around the time he first signed with WCW, there would be huge matches and storyline implications as well on the show weekly. With the interesting arena setup (the doors were almost like something you could find in an adventure based video game after 1994 along with smoke as the wrestlers came out), as well as more intriguing matchups and appearances as the years went on, WCW Saturday Night remained a staple in the company until the near end and demise. 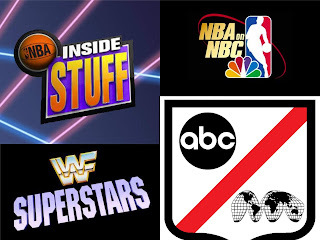 While Saturday mornings and afternoons were for NBA Inside Stuff and WWF Superstars, Saturday nights were usually reserved for WCW. -So, we began the article looking at Inside Stuff. 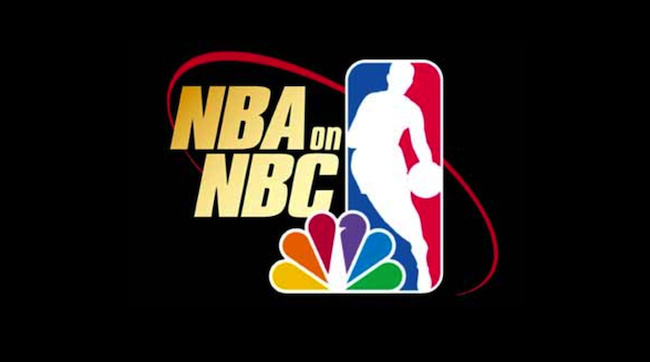 We close the article by looking at the legendary run of the NBA On NBC. Now, this isn't necessarily a sports program, but NBA On NBC was more than just showing games every weekend. No, it was much more. Sure, the tripleheaders and doubleheaders of all of our favorite players would definitely be something special to us, but it was everything encompassed into one experience. The announcers. The music. The vibe. The presentation. The players. The NBA on NBC was an experience. Whether you had Marv Albert calling the game, Bob Costas, Mike Fratello, or even Bill Walton, the announcing for those games were usually exciting and always made the games better by design. Add to that the fact that entire Jordan era was broadcast through NBA on NBC and you'll see why this entire program experience was so important. The moment you heard Jim Fagan's voice proclaim "This Is The NBA On NBC", you knew you were in for a treat. TNT has attempted to keep that spirit alive, and they do a decent job of it, but nothing compares to the NBA on NBC.